Honda Activa 5G price in Chennai starts from Rs. 56,939 (Ex-showroom). Activa 5G is available in only 2 variant. The top-end variant Honda Activa 5G DLX is priced at Rs. 58,804. Honda Activa 5G's top competitors are TVS Jupiter (price starting at Rs. 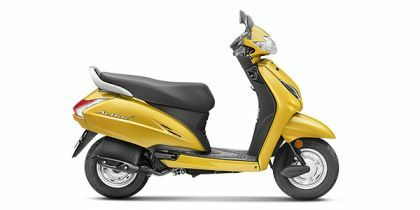 55,559 in Chennai) and Suzuki Access 125 (price starting at Rs. 59,041 in Chennai). Q. Which bike is best Dio or Activa 5G for mileage and maintenance and height of both bikes?